Last fall I visited a Hutterite community in Washington State and was intrigued by their lifestyle and religious views. So when my daughter suggested that I might enjoy reading this book, I took her up on the idea. The story has many characters and it is a little difficult to sort out all the families, but I am reading it a second time, so that tells you it has kept my interest. The family tree at the back of the book is helpful. The Hutterites - originally from Europe - have been a separate group of believers for about 500 years and there are 400 communal farms in North America. If you are interested in unusual religious groups, then this is a must read. As human beings God created us with a desire to belong to a community greater than ourselves and our immediate family.Children especially need a stable community to help them feel worthy and accepted. Routines give them a sense of peace and order. Our childhood and youth experiences in that community will have the greatest impact upon the people we become. Whether we accept or reject in part or the whole of the life styles and beliefs of our community, they will still shape us. When we become adults we have a different understanding of the family events and parental decisions that happened when we were children. Maturity tends to change the color of our reflections on life. At some point most people do an evaluation of their roots and determine as an adult if they want to keep the same values and faith of their parents or other significant adults from their childhoods. One may not even be completely aware of this process, but it happens. 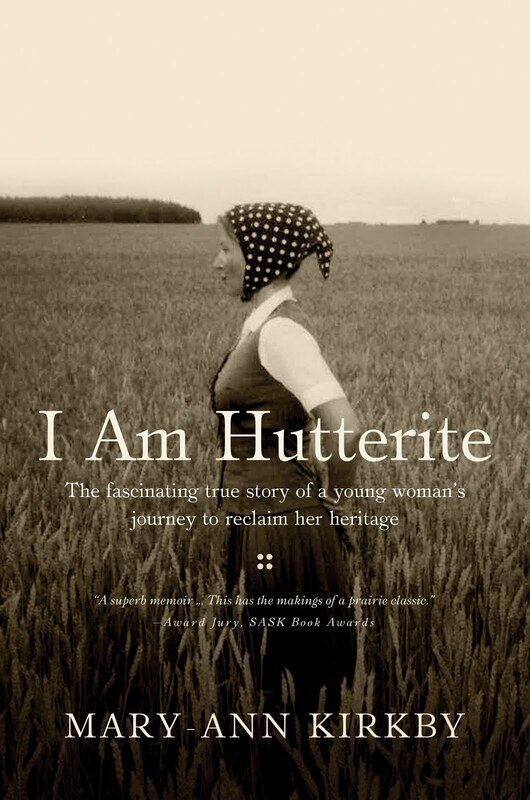 In this story Mary-Ann Kirkby had the difficult experience of a radical change of communities [from Hutterite to English secular] at the young age of 10. This was not easy for her. 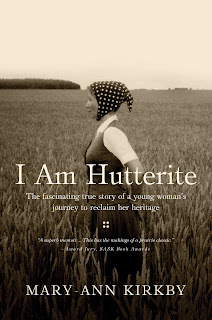 The book goes back to the childhoods of her parents and follows them up to the present day giving many insights into Hutterite community living. The Hutterite philosophy is to create a community where all possessions are shared and everyone works for the good of all. This lofty ideal isn't always easy to achieve given the different personalities that people have and the hierarchy needed to operate a communal farm. Someone must be the leader and make the final decisions, which may or may not be the best for every individual. There is security there on the farm, but no room for nonconformity. In the story you will learn of the challenges her family faced (especially her father) living under the authority of a less than benevolent leader. She experienced rejection on the outside when her family left the community, but her parents also experienced some rejection within the community. Bits and pieces of how the doctrine of this religious group is lived out in practice is very interestingly interwoven into the story. Her parents chose to live their faith in God the same outside as inside the community with honesty and love. Mary-Ann understands this as an adult. The story has a happy ending - which I always like. Although Mary-Ann does not return to the Hutterite community to live (which she could have chosen as an adult) she has wonderful memories of the love and joy of living there as a child. It is the story of a woman coming to terms with her unique heritage. If you think this would be a good book to read, leave a comment and I will pick a winner... oh, in about a week or so! I am on vacation after all! This is honestly the best review of this book that I've seen and the first that made me believe I would really want to read it! Thanks your thought and I would definitely love to win this book!